I continue to be amused by the tactics of the big boy brands in the face of market share loss to craft beer. It isn't like MillerCoors or Anheuser-Busch are going out of business. But the sustained growth of craft brands has them scratching their heads (and other things) as they struggle to come up with some kind of response. Inasmuch as I was just beating up on Coors the other day, I hate to do it again. But what am I supposed to do when I find out they are currently launching a trio of beverages designed to compete for the attention of drinkers who normally chase craft brands and liquor? Coors is just a huge target. The three-pronged offensive is all part of the "innovations' program at MillerCoors. They have an official marketing director and everything, so it must be the real deal. Hard to fathom. What they're hoping to do with this program is win over what Coors calls "millennial consumers"...otherwise identified as folks "who constantly change their drinking habits." First off, let me say I think the idea of going after a target market which apparently has zero brand loyalty and might drink your product once and never again is ingenious. The execs at MillerCoors must have really put some elbow grease into thinking this up. The bonuses are going to be huge. Let me take you through the actual products, in case you don't have your Google alerts set to pick up on crap like this. Seriously, you need to spend some time adjusting your news feeds so you don't miss out on great stuff like this. The first of the new products is Coco Breve, a coconut water-infused malt beverage. This thing has about the same alcohol as light beer (4.2%) and intends to capitalize on the mainstream popularity of non-alcoholic coconut water. You don't even need to ask who they are targeting with this drink, right? Women. Specifically, women who want to bring something on girls night out...but won't bring light beer. Next up is Redd's Apple Ale, which MillerCoors expects to compete with flavored malt drinks like Mike's Hard. Apple Ale comes in at 5% ABV and is supposedly a little on the sweet side. Go figure. They are targeting men and women with this stuff, in case you were wondering. You probably qualify if you constantly change what you drink and have no brand loyalty. From a craft beer perspective, Coco Breve and Apple Ale have zero appeal. Craft beer fans shouldn't be in the conversation when you're talking about drinks like this. I suspect if one of these is going to be successful it will be Coco Breve. Not with beer fans, though. Coco Breve is far more likely to draw women away from white wine. This runs against standard big boy marketing tactics, by the way. They typically spend their time scheming ways to take market share away from other beer brands, not from wine, flavored water or whatever. I'll be interested to see how it works out. Honest. 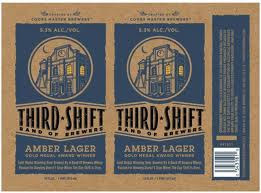 The third of the new products is Third Shift Amber Lager. This is the first in a series of smaller batch beers invented by Coors brewers (supposedly) during their off time. This beer evidently won a gold medal at the 2012 World Beer Cup....under the code name Flor Hosen by the Sandlot Brewery in Denver. 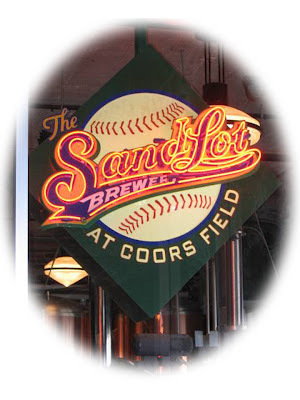 Sandlot is connected to Coors Field, if you were wondering. The beer was developed and is brewed at Coors headquarters in Golden. Amber Lager, which will be a draft only offering for now, is surely a decent beer...probably at the lower end of the craft spectrum in terms of body and flavor. But MillerCoors won't call it a craft beer. Instead, they say it's an "invitation" beer. They have it their head that this beer will appeal to craft fans who like variety and want something a little less expensive. Indeed, they are going to be selling this beer at a slightly lower price point than typical craft beer. Hmmm. There's something everyone needs to know: MillerCoors could make great good beer if they wanted to. So could Anheuser-Busch. All they would need to do is buy better ingredients and develop better recipes. They already have the facilities to do it. Instead, they make watered-down sludge, advertise the crap out of it and make money selling it to a mass audience in volume. That's their business model. I actually like the fact that Coors is producing a series of small batch beers. However, I think they are making a grave error with Amber Lager. They should be marketing this stuff as an award winning beer at a standard craft price. Why? Because price is a huge factor in beer brand identity. If you sell your beer at premium price, people will assume it to be a better product and your brand will be enhanced. Selling Amber Lager for less will instantly undermine the integrity of the brand, even if the beer is damn good. This is beer marketing 101. It's a pretty good bet that the new MillerCoors products will fail to gain significant market acceptance. They have a pretty good track record in this area and each of these products seems ill-advised in its own way. As craft beer continues to gain market share, it may well turn out that the best place for big beer to look for continued profits is China ...which has enormous untapped potential. Take a look at Jeff Alworth's analysis here. Good stuff.